COME AND SEE THIS NEWLY REMODELED 1 STORY HOME!!! NEWS INCLUDE! KITCHEN CABINETS! GRANITE COUNTER TOPS! ALL BLACK APPLIANCES! BATH WITH DOUBLE SINK VANITIES! FLOORINGS THROUGHOUT THE HOME! INCLUDING THE CARPET IN ALL BEDROOMS! FRESHLY PAINTED WITH NEUTRAL COLORS INTERIOR AND EXTERIOR! SIX PANEL DOORS! FRONT DOOR! SOME OF THE LIGHT FIXTURES INCLUDING CAM LIGHTS IN KITCHEN! BASEBOARD THROUGHOUT THE HOME! SEPARATE DING ROOM! BRIGHT AND OPEN! READY FOR A NEW BUYER! CORNER LOT! NO HOA! ONE BLOCK FROM THE ELEMENTARY SCHOOL! 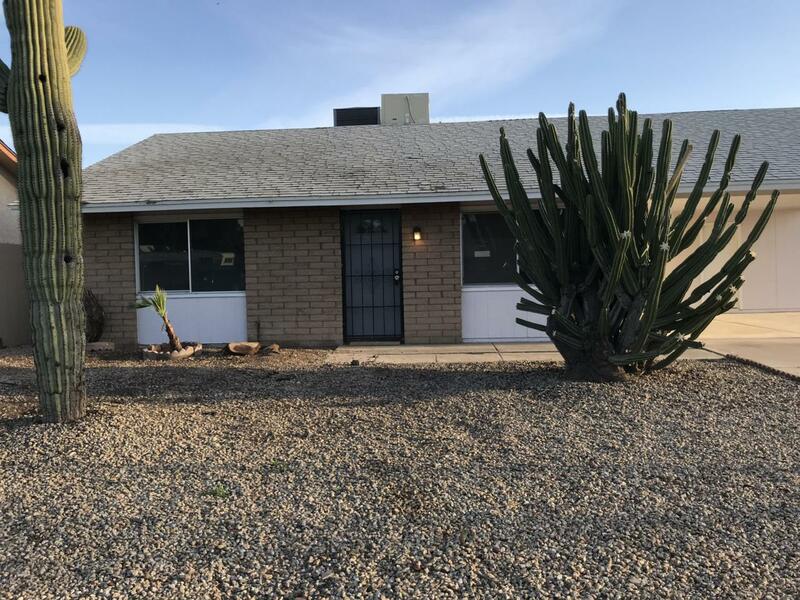 MINUTES FROM FREEWAY 101, 10 AND STATE FARM STADIUM! BROKER OWNED!